In a world where there are those that believe the conservation of nature is second to oil exploration and the protection and preservation of wildlife and land is of less importance than that of the discovery of finite resources always causes friction, and in some cases war. The film itself, as well as the entire crew that was behind the making of Virunga, and those that continue to protect the park, are infinitely courageous. There were a lot of factors playing a part in the unrest that unfolded during the course of the film, but throughout, the park rangers and the investigative journalist also involved in telling this story, stood bold and fearless. As much as this film demonstrates what is wrong and twisted in the way the world thinks about and depends on oil, it highlights a group of people who have made it their life purpose to defend and protect the Virunga National Park. They unwaveringly stood their ground when the conflict with M23 began in April of 2012. The rangers were not only faced with conflict by the Congolese Revolutionary Army, but the interest of the British oil company Soco International, which continues to carry out exploration for oil in the park. I learned that Virunga National Park, Africa’s first national park is home to nearly half of the world’s 700-some remaining mountain gorillas. The park is known for its exceptional biodiversity and the Virunga Mountains host a chain of volcanoes. 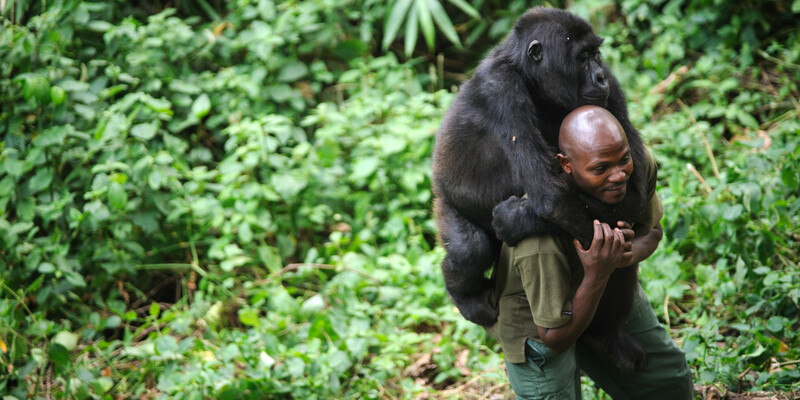 Over 140 of Virunga’s rangers have lost their lives protecting the park and the indigenous park wildlife since 1996. There is no simple solution to changing the current situation in Virunga, but if anything we can take away the powerful message of being bold. Not being afraid to fight for change. Each day we can take steps towards creating a better world.